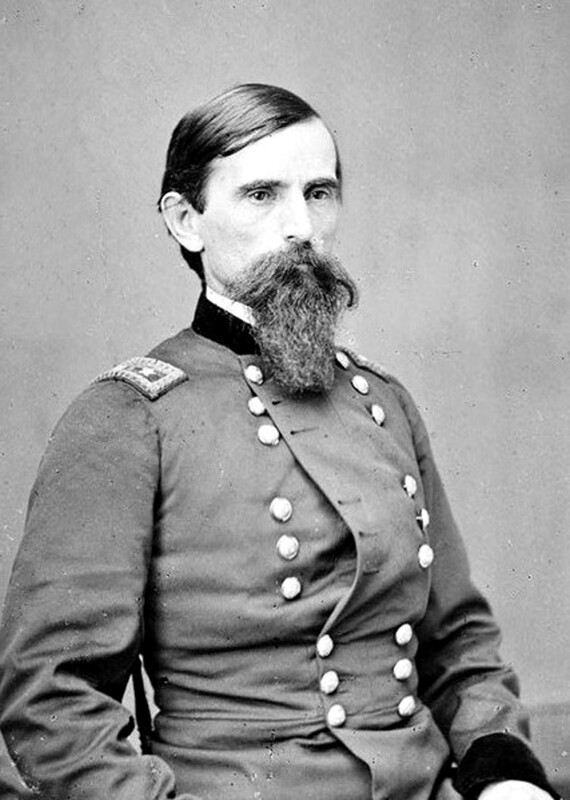 Lew Wallace first saw combat in 1846 during the Mexican War. He returned home after the war, married Susan and continued with his law practice. The bugle sounded again for Wallace 15 years later. On April 13th, 1861 Wallace was called to meet with Governor Morton to discuss the Fort Sumter attack and then offered him the office of Adjutant General. Wallace accepted with the condition that he lead one of the regiments Indiana raised. 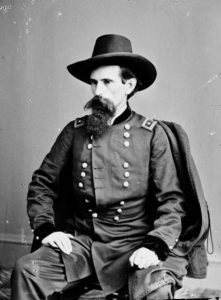 Wallace took command of the 11th Indiana Infantry on April 25, 1861. On June 12th the 11th, led by Wallace, was victorious at a minor battle at Romney, West Virginia. This victory led to Wallace’s promotion to Brigadier General and transfer to the Army of Tennessee. 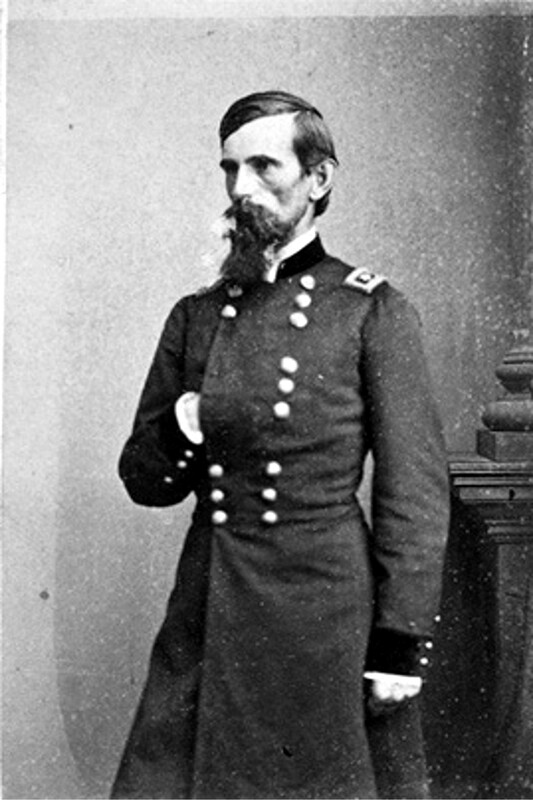 Wallace’s next major engagement was the capture of Fort Donelson. 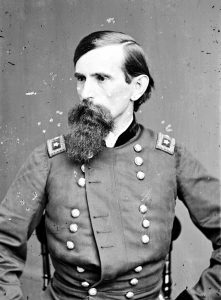 Wallace had 3 brigades under his command—Grant was in command of the operation. Control of the Mississippi was the objective and Fort Donelson needed to be taken to advance that goal. Wallace was in the center of the Union line facing Fort Donelson. The Confederates found a weak point in the Union line and attacked—threatening to flank the right wing. Although Wallace was ordered to hold position in the center he sent one of his brigades in to plug the gap. Wallace then ordered the rest of his division to counterattack—securing victory. Wallace was promoted to Major General—the highest rank in the U. S. Army at that time. At 34 he was the youngest Major General to date. The battle of Shiloh was Wallace’s next conflict and the most controversial. Grant was in command. His army was centered at Pittsburg Landing on the Mississippi. On April 6, 1862 the Confederates launched an attack. 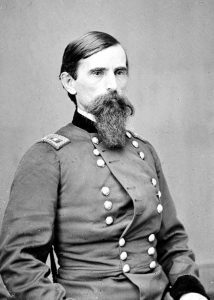 It came as a complete surprise and amongst a flurry of messages Grant ordered Wallace to bring his division to reinforce his position. 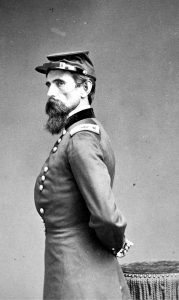 Grant’s order was a verbal command, but the message the currier delivered to Wallace did not specify where Grant wanted him to take up position. Wallace moved out taking the route he felt would best support Sherman. Later Wallace received a message that Sherman was pushed back to Pittsburgh Landing causing Wallace to change his route—delaying his arrival to the field. When Wallace arrived his reinforcements changed the course of the battle. The Union held the field, but casualties were massive. Grant faulted Wallace’s late arrival as one major cause. A scapegoat was needed and Wallace seemed to fit the bill. Wallace felt his honor was in question and returned to Indiana, where he spent time on the Kankakee River to find solace. Shiloh dogged Wallace for the rest of his days. In 1864 Wallace returned to take command of the 7th Corps. Confederate General Early was moving on Washington. Although, Wallace’s troops were green he had no choice but to throw them into battle. At great cost Wallace was able to stop Early and save Washington from capture. So ended Lew Wallace’s military career—returning to civilian life in Indiana. But, Wallace was soon to be back in service of his nation.